Copper braided sleeve / jacket provides abrasion and cut resistance, along with hydraulic hose blowout protection and electrical grounding for wires, cables and hoses. Also provides EMI / RFI attenuation and protection. 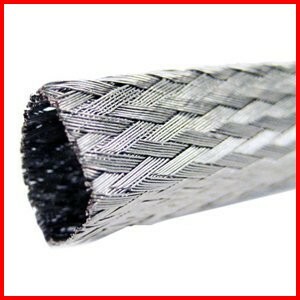 Also used for rodent attack protection for buried cables, wires and hoses. The temperature rating is set at the 50% tensile rating versus room temperature.